Hello everyone! I just wanted to write a quick post letting you know about this amazing event coming up at Kit stores. 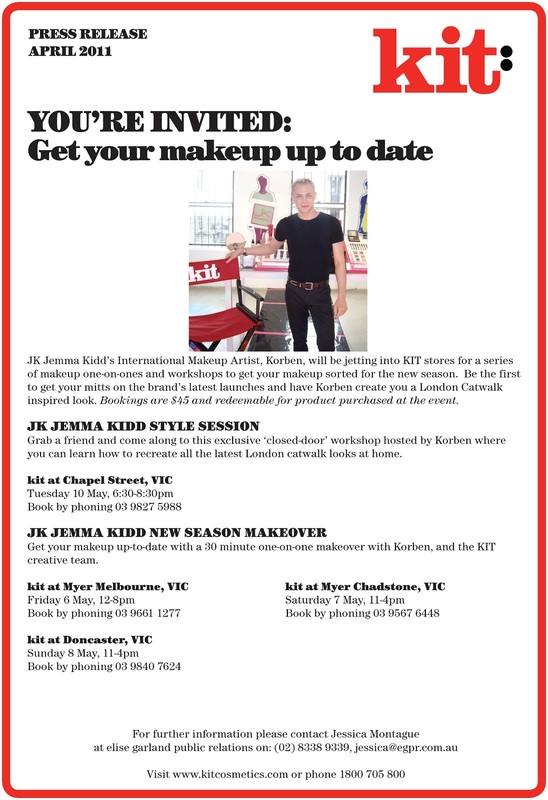 If you're a fan of makeup (or maybe just follow Pixiwoo with an unhealthy obsession) you'll definitely have heard of makeup artist Jemma Kidd's affordable line of cosmetics - JK Jemma Kidd. I've just started following this brand and have already developed an unhealthy obsession with it. I am particularly eyeing her amazing Dewy Glow All Over Radiance Creme - but that is another story for another day. Korben will also be visiting stores in NSW and WA. 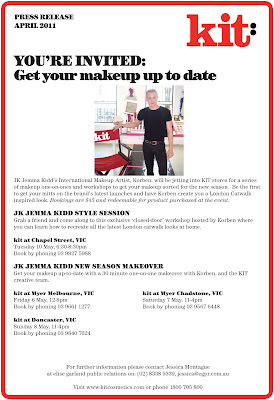 For more information, visit Kit Cosmetic's In-Store Events page.